A business report is an in-depth material means to provide business data in graphs, pictures, and texts. It illustrates the weakness and strength of your company’s performance. Besides evaluating productivity, there arise potential limitations that may disappoint your expectation about reports. Seeing the pros and cons of the report enables you to make use of this powerful tool more efficiently. Business Report: What is it? Beyond a basic definition, a report comes as documents prepared by the ones who are in charge of collecting info. It provides investors or regulators a perspective over the business. Some reports include business plans and mission statement. More than just telling stories of a company’s past performance, reports can indicate ineffective sides so that the readers can detect and fix the downsides. In E-commerce, reports are usually in forms of online documents shared with involved people. Among many examples of reports across the market, there are a few common templates. It includes analysis of sales data, financial growth and customer relationship allows you to conclude the period outcome and develop more appropriate strategies. The report helps you to see through the viability to enter a new market or make an investment. In addition, data collected can come from experts’ research or market surveys. When you need to know how your project progresses, the report lets you know how far you’ve come, any delay or the plan you need to move forward. The benefits of reports are undeniable. But would there exist any drawback a company should pay attention? The information reported helps make decisions. Whatever shows in the piece of presentation had influenced your business in term of going up or down. Those are critical to secure your growth. The financial statements and other guide disclose the risk to investors. It gives them a better understanding before spending the money and sees how it would benefit in a certain period of time. A report makes a brief conversation that takes hours to convey. It squeezes everything into one place where it’s easy to access and discuss. Problems shown in the reports assist managers in taking corrective action right in time. Some reports appear to be inadequate in providing information to finalize. Hence, the data may not reflect the real picture of a company. To have a precise report to improve management, it costs money, time and effort to collect the necessary data. Small businesses often have the potential limitation in financial ability to operate such large scaled market investigation. An online report in E-commerce may not deliver a chance for the readers to ask questions or discuss the queries face-to-face. Giving feedbacks in a report is likely to misinterpret when the receivers are not yet able to understand the issue immediately. As a result, that leads to neglect in partnership. Annual reports printed once a year may contain expired data. Therefore, the message can be inaccurate for the time being. 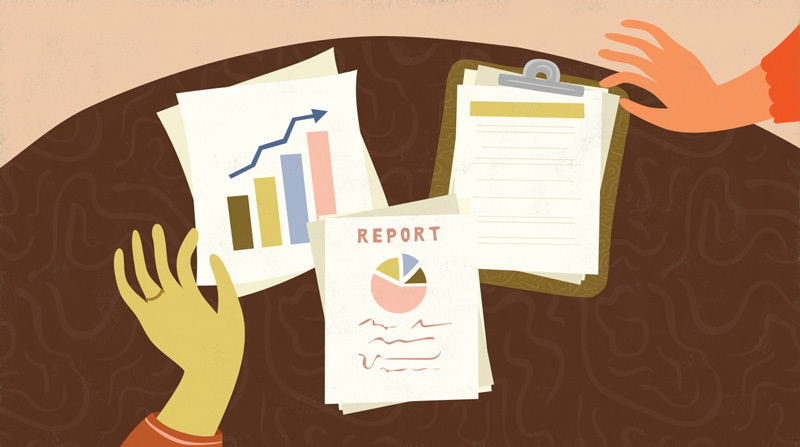 To run a business, a report is an indispensable attribute. However, companies should pay attention to the quality and accuracy of the report or the organization that conducted the research. Writing business reports correctly benefits in giving you a precise overview to correct and improve your company’s performance.